The brow lift is a rejuvenating surgical procedure aimed at restoring a more youthful appearance to the brow, forehead and indirectly the upper eyelids. Patients seeking brow lifts usually have sagging brows and forehead skin. Typically this causes the patients eyes to look tired and upper lids to look heavy. They also notice deeper horizontal wrinkles in the forehead, made worse by repeated attempts to elevate the brow and often uncorrected by Botox®. The brow-lift is primarily designed to restore a more youthful position of the brow giving it a beautiful arced look. The operation relies on the removal of excess skin, and the tightening or partial removal of the select facial muscles responsible for the drop in brow position. At the same time it smoothes the forehead, removes wrinkles between the eyes and can, to a lesser degree, reduce the appearance of skin excess in the upper lids. 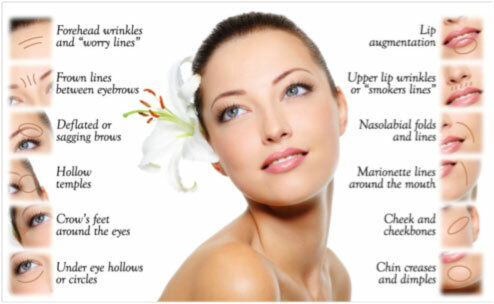 The brow lift is not designed to provide rejuvenating changes to the lower eyelids, or the lower 2/3 of the face. Rejuvenation procedures in these areas are addressed by eyelid (Blepharoplasty) or facelift (Rhytidectomy) surgery. It is possible to combine brow lifts with eyelid and facelift procedures but they are not part of the same surgical procedure, and are not described in this section. Although these procedures have been performed for many years, recent advancements in the field of plastic surgery have developed new ways of performing these procedures that lead to more longer-lasting results. Today, two principle methods exist to lift the brows: an open “traditional” brow lift and an endoscopic brow lift. The surgical technique recommended by your surgeon will depend on the position of your brows, the degree of forehead skin excess, the depth of the forehead wrinkles and the position of your hairline. In the open “traditional” method, an incision is made across the top of the scalp, beginning above the ears and hidden within the hair. For patients with altered hairlines due to hair loss, incisions can be made immediately in front of the hairline. In both cases, the incisions are designed to be inconspicuous when completely healed. The incision allows the surgeon to partially remove or alter muscles causing unwanted frown lines, re-drape and remove excess forehead skin, smoothing the forehead, and elevate the brows into a more aesthetically appealing position. Using the endoscopic technique, five short incisions are made is select positions on the scalp. An endoscope (a pencil thin telescope with a camera attached to one end) is inserted into one incision and displays images on a television monitor. The surgeon then uses specially designed instruments to access the underlying forehead muscles and underlying structures through the other incision sites. The muscles and tissues are altered and the brows are then repositioned and secured through a variety of permanent or dissolving anchoring mechanisms. The skin incisions are then closed. Although less scaring is associated with this technique, the lack of skin removal makes this technique less effective on patients with deep forehead wrinkles and saggy skin. The typical convalescence following brow lift surgery is approximately 2-3 weeks. A compression bandage or garment is often used in the early post-operative period. Early post-operative pain is controlled with prescription medications for the first few days. Most patients require only over-the-counter medications or are comfortable without pain medication within days of the procedure. Bruising and swelling of the forehead and around the eyes is normal after these procedures and swelling becomes greatest within 3-4 days after the procedure. Remember that this is a normal part of recovery and disappears within 2-3 weeks of the procedure. Brow lift (forehead lift) surgery is not covered under the Canadian Medical Plan and the final cost for such procedures will be at the discretion of the plastic surgeon performing the procedure. The average cost of this procedure, published by the Canadian Society of Aesthetic (Cosmetic) Plastic Surgery (CASPS) is $4000. This website does not cover all of the medical knowledge related to brow lift nor does it deal with all possible risks and complications of surgery on the brow, forehead and associated structures. Although it is designed to provide the patient with greater depth of information in some areas, it is not intended to substitute for the in depth discussion between patient and surgeon that must occur prior to any surgical procedure. For a more detailed discussion on expected results, recovery, and specific complications, please see your plastic surgeon.